Jordan is from Stillwater, Oklahoma. She graduated from Oklahoma State University in the summer of 2013 with a Bachelor’s degree in Zoology. 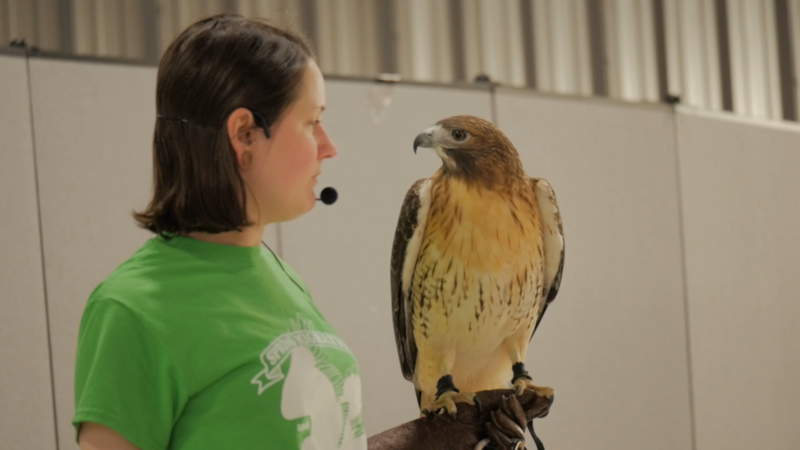 She spent two semesters doing research in the Zoology Department’s Collection of Vertebrates; one semester digitizing the avian collection and the second semester cleaning and preparing skeletal material. 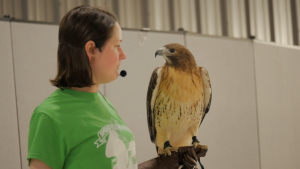 She began volunteering at the Grey Snow Eagle House in November of 2013 and was hired part-time in August 2014. Jordan has always been a huge animal lover and became interested in birds when she was in the first grade and her class incubated and hatched chickens. Her favorite birds are Indian peacocks and burrowing owls.